RUNNING-RESEARCH APP | RUN! RUN! RUN! 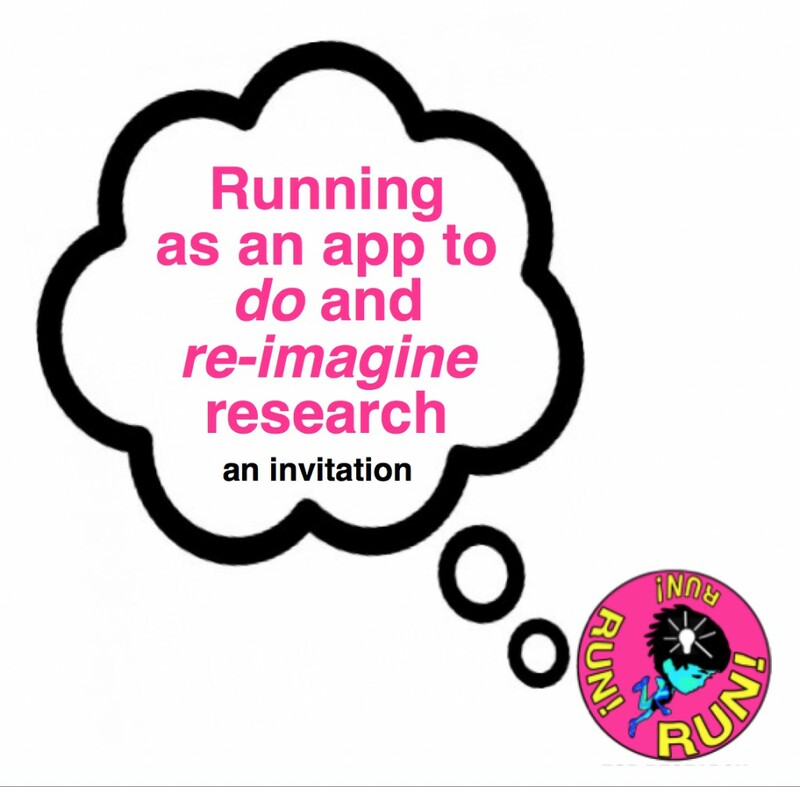 This paper is an invitation to explore how running may be activated as a playful methodology or ‘app’ to do and re-imagine the possibilities of research, and in particular, artistic research. Click here for the heady (and footy) slideshow. Kai begins by presenting a rundown of her ‘running-approach’ to research. 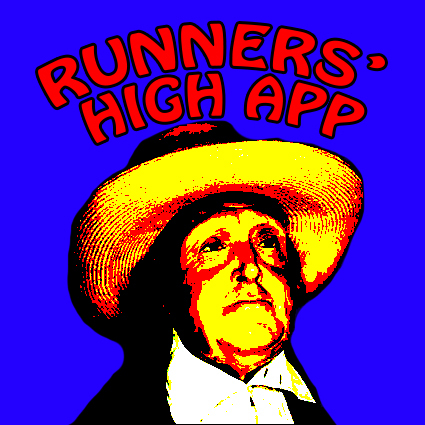 Inspired by running and the runner’s high, this approach is theoretically-grounded as it is practice-related, playful as it is serious, exuberant as it is analytical, specific as it is associative, heterogeneous and divergent, dry (and dry-witted) as it is sweaty. Rather than only running with a single school of thought, Kai scampers through, picks and mixes and collages together a heady assortment of theories and ideas from a diverse range of fields. 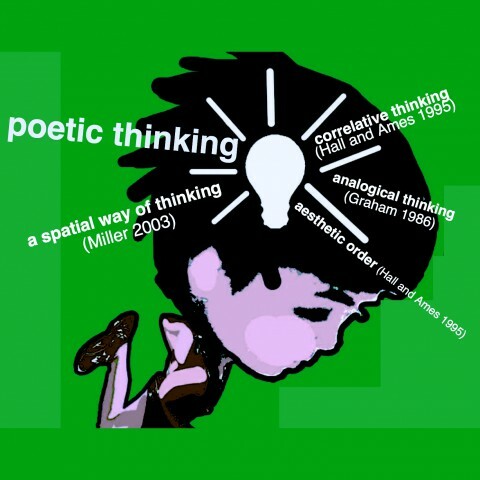 They include Situationism (Debord 1958), the ancient Chinese philosophy of Daoism (Lao Zi 500BCE; Schipper 1993 et al), neuroscience (Dietrich and McDaniel 2004), etymology (Hanson 1996; Simpson & Weiner 1989 et al), the cultural history of running (McDougall 2009; Gotaas 2009), the philosophy of correlative thinking (Hall and Ames 1995), as well as well-documented accounts by scientists and runners on running and the runner’s high (Murakami 2009; Oates 1999 et al). Yet, dissatisfied with only sitting by the desk to trawl through texts, Kai decided to get her own hands (and feet) dirty, and learnt to run, in 2009. 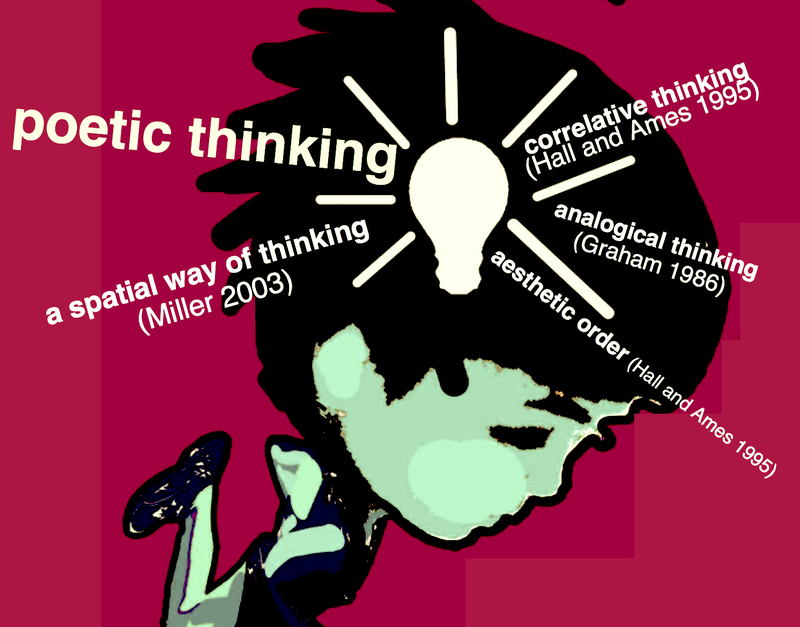 Her resulting ‘running-approach’ to research is informed and inspired by a wide range of theories as it is by her first-hand or rather first-feet experience of running and the runner’s high. Kai’s lecture self-reflexively performs this ‘running-approach’, too, as she moves with footsteps that are light and quick, covering a vast terrain within 15 minutes, mobilising a generous dosage of run-related idioms and wordplay along the way. The presentation ends with Kai calling for the audiences to join her research institute, the RUN! RUN! RUN! 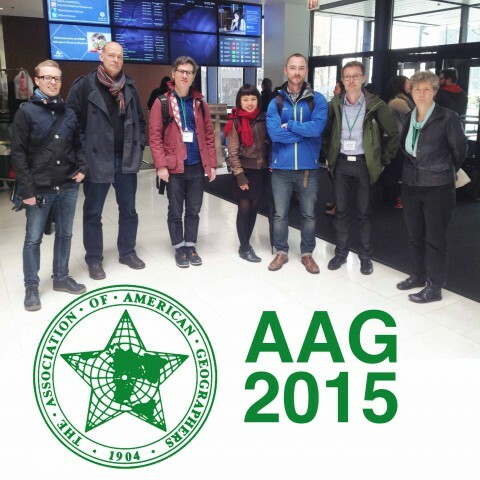 International Body for Running as co-researchers. She also encourages the audience to adapt and indeed pick and mix, or even hack into her methodology, and to come up with their very own ‘app’ to do research, and to think about how it relates to their practice, including teaching. 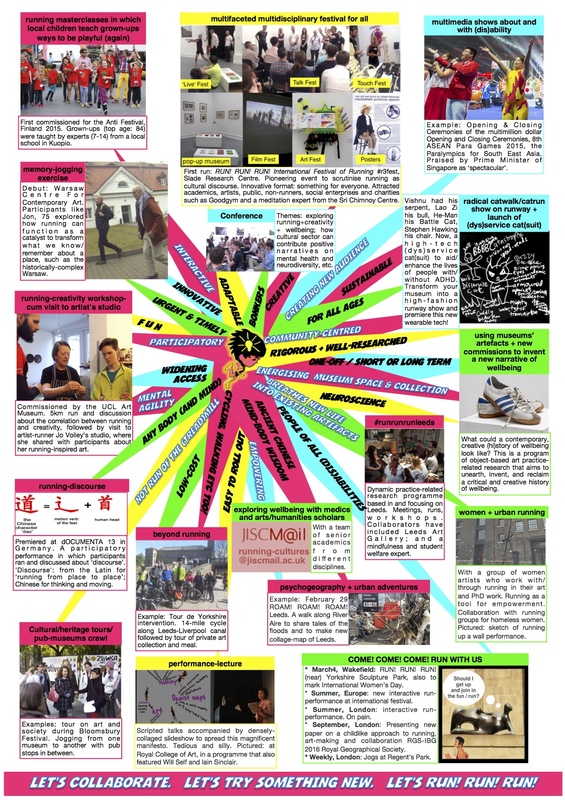 The paper premiered as a performance-lecture at Leeds College of Art during the Staff Dissemination Day, 16 December 2014, UK. NextARE YOU A NEUROSCIENTIST? ARE YOU AN APP-MAKER?